Coastal stocks Agricultural Fence Posts and Fence Boards at the Havana, Florida treating plant. There are many different sizes of quality, straight, hard Southern Yellow Pine Agricultural Fence Posts available from 6 ½ to 8 feet in length. 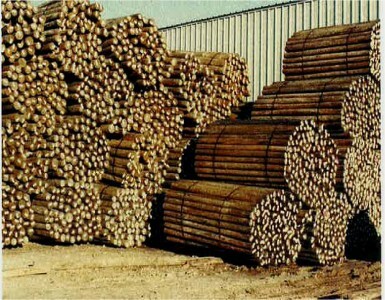 Our Havana, Florida location also stocks several sizes and lengths of Southern Yellow Pine poles ranging from 10 to 30 feet long. Please call for available sizes and shipping. Coastal’s Fence Boards are sized to approximately 1″ x 6″ x 16′ and double end trimmed. These premium Southern Yellow Pine boards are graded specifically to provide a strong, durable, and functional fencing system. Coastal also stocks rough sawn Southern Yellow Pine posts sized to approximately 4″ x 4″ x 8′ as well as larger Faced Posts that provide a flat nailing edge to complete this board fencing system. All of the Fence Boards are pressure treated to the above ground specifications and the posts are pressure treated to the ground contact use specifications to protect them from termites and decay. 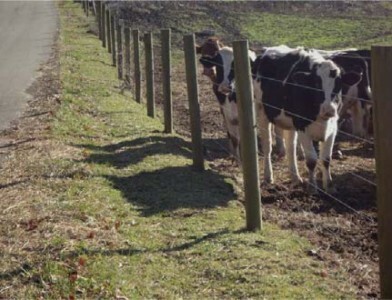 Coastal has years of experience with agricultural fence post manufacturing processes and our production expertise results in the highest quality product for our customers. All of our Agricultural Fence Posts are properly dried prior to the pressure treating process which helps in providing you with a stable, longer lasting post. The Coastal brand of real wood fencing products is second to none! See our Policies page for safety and warranty information.